How to Tackle Child Obesity & Appeared Toned, Muscular, Calmer and More Focused Your Kids to Sports Activity??? I Believe Every Child Making Use of This Eating Plan, Has More Energy and Yet They Take in Less of Those Foods Which can Do Harm to Their Bodies. Many parents wonder if the Paleo diet is safe for children. The answer is a resounding yes. Children making use of this eating plan have more energy and yet they take in less of those foods which can do harm to their bodies. In fact, some experts point out that following the Paleo diet is in many ways like taking a nutritional supplement and yet the child is getting the vitamins and minerals needed from the foods he or she is eating. 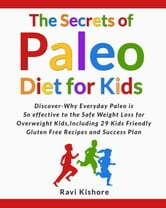 There are very few areas where the child will need to supplement when following the Paleo diet. How does the Paleo diet meet the needs of children while ensuring they grow properly? Kids need certain vitamins and minerals to grow properly. Items on this list include protein, fiber, omega-3, omega six, and much more. How does the Paleo diet meet these needs? Parents will be surprised to learn how this eating plan benefits their child in many ways. • A Lack of Nutrients? • Excess meat?,Insufficient in Terms of Sugary Snack Foods? • Many other question to be answered? • The Road to Success Starts with the Seven Day Program. 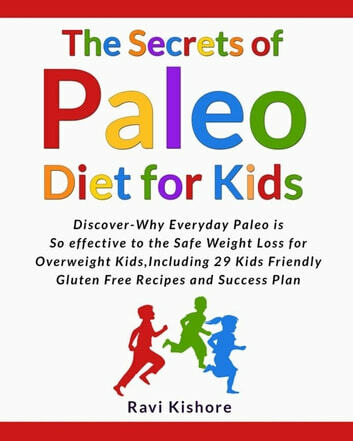 • The Paleo Diet for Children: Tips to Help Your Child Make the Transition? • Tricks Parents May Use to Make the Transition Easier. • Meal Plan Recipes for the Seven Day Program? • 29-Delicious and Kids favorite Recipes including Nutrition Values. Paleo Kids Recipes: Cool, Healthy & Delicious Recipes Kids Will Love!